Are you on a financial diet this January? If, like many of us, you’re feeling the pinch after the holidays, here’s our guide to eating out on the cheap this month. Want to cook up a storm at home, for less? Check out some of the great Daily Difference Deals at Woolworths this week. Click here to see all the deals. 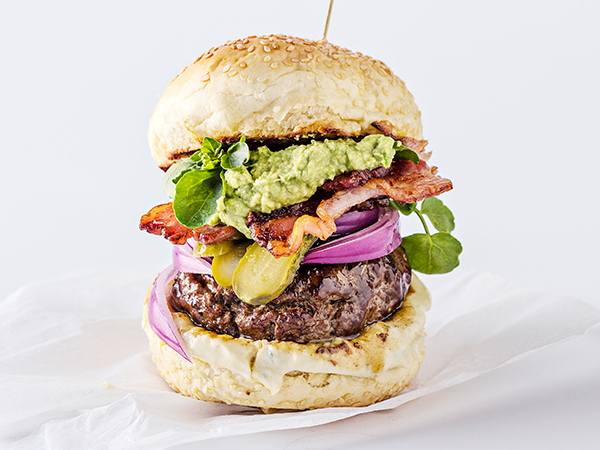 A burger made with Woolies products. Photo by Dirk Pieters. Mondays: Buy one burger and get one free. 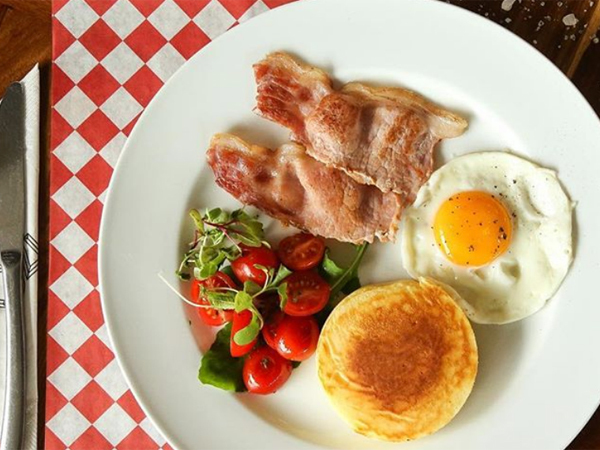 Unreal breakfast: Until 11am, get two fried eggs, two rashers of bacon and fried tomato, chips, two slices of toast, jam and butter for R29.90. Add bottomless filter coffee for R19.90. Wednesdays: Kids under 12 eat free at Spur on Wednesdays. One kids’ meal from the kids’ menu per dining adult. Thursdays: Buy any two steaks and get another free. 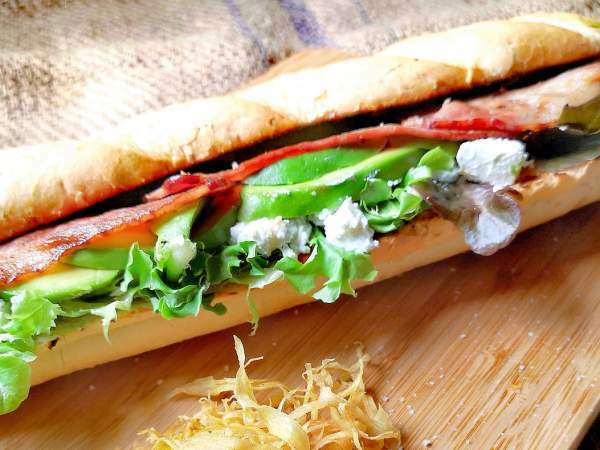 Piccolo lunches: All items on the Piccolo lunch menu are under R60. 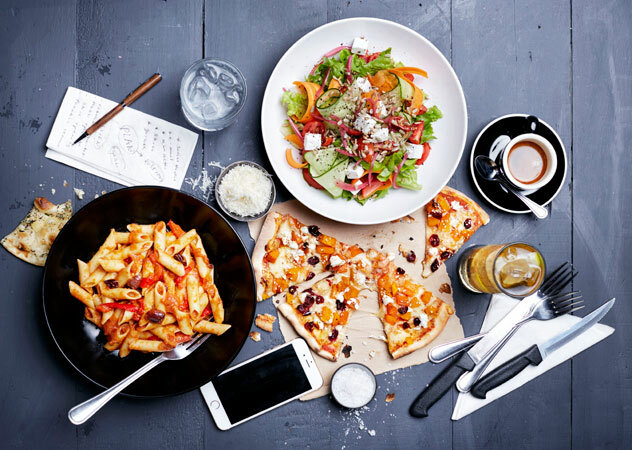 Think pastas, pizzas and salads. Available Monday to Friday until 4pm, in-store, take-away or delivery. A piccolo feast at Col’Cacchio. Photo supplied. 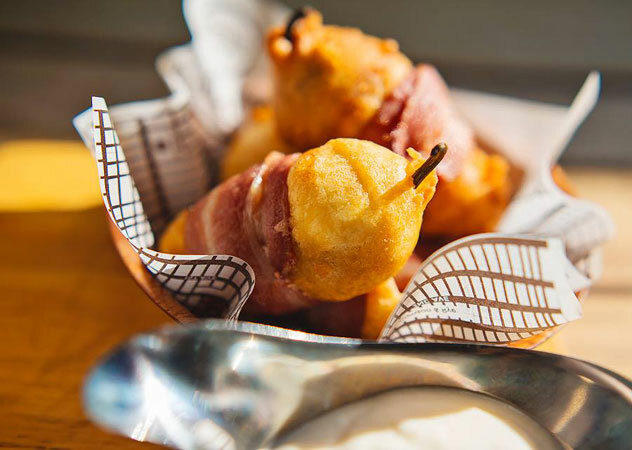 Monday: Pay just R50 for a 200g portion of fish and chips, or any of the burgers. Tuesdays: 50% off all classic sushi and 25% off sushi platters. Wednesdays: Tuck into a Granger Bay platter for R199 or a Fishhoek platter for R99. Thursdays: Save on sushi platters. Get a Saldahna Bay platter for R185, a Signature platter for R185, a Roses platter for R99, a Grotto Bay platter for R89, a Sandy Bay sashimi platter for R128 or a Camps Bay platter for R45. Monday Burger Day: Buy two burgers and get the cheaper burger will free. Offer available every Monday 5pm – 10pm for a limited time. Dine in only. Not to be combined with any other discounts or promotional offers. Valid at participating locations. Half-price starters, cocktails and draught beers between 4.30 pm and 6.30 pm, Monday to Friday. The cheesy chilli poppers at Hudsons. Photo supplied. Lunch special: Until 4pm, order the beef brisket with ciabatta, pickles, relish and chips for R98, or the hake and chips for R95. Monday to Friday: Happy hour form 4pm to 9pm. R20 for Jack Black draught lagers, house wine and milkshakes. Sodas for R10. Afternoon Tea: For only R95 per person, enjoy a cup of tea or coffee with a scone with cream, cheese and jam, finger sandwiches and cake. Until 31 January 2017; reservation required. The interior at 16th Lintel. Photo supplied. 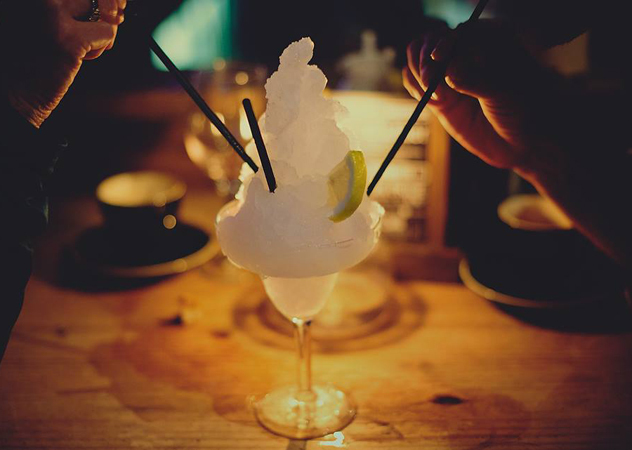 A frozen margarita at Hudson’s. Photo supplied. Tuesday: Get a Bourbon Smash cocktail, with 10 southern fried wings for R89. Wednesday: Get 12 chicken wings for R55. Mondays: Buy one, get one free on pizzas and pastas. Saturday and Sunday mornings: Enjoy the breakfast buffet for R89. Kids under 10 pay R49. 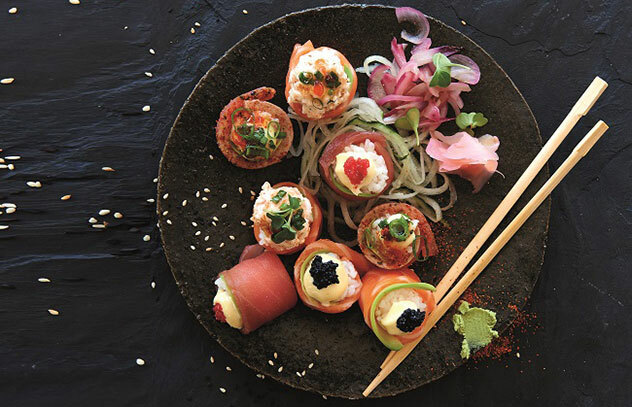 Pay R148 for the all-you-can-eat sushi buffet, all day, everyday. Sushi plates for R9, Monday to Friday from midday to 3.30pm. Senorita Tuesdays: Half-price on all meals for ladies. 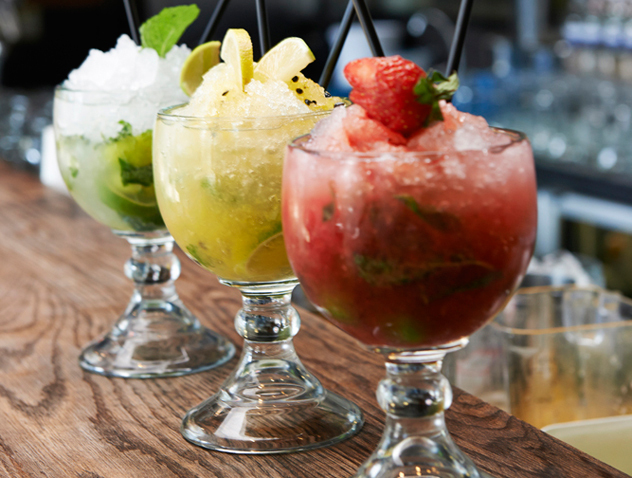 Half-price Humpday: Half-price on all drinks, every Wednesday. The interior at Four15. Photo supplied. Wednesdays: 50% off all burgers ordered between midday and 9pm, until end-Feb 2017. Eat in only, no sharing, no takeaway, a la carte only. Sundays: Enjoy the Sunday buffet breakfast with either a cup of tea or coffee for only R65 per person from 9am to midday. Until end March 2017. Rainy day: When rain hits the sand, get a quarter off any main meal or cocktail. Until end January 2017. On Mondays and Fridays between 4pm and 7pm, tuck into a medium pizza for R45 or half-price sushi and sip on cocktails for R30, draught beers for R19 and selected shots for R12. Lunch special: Between 11am and 6pm pay R65 for a hearty pub lunch off the specials menu. 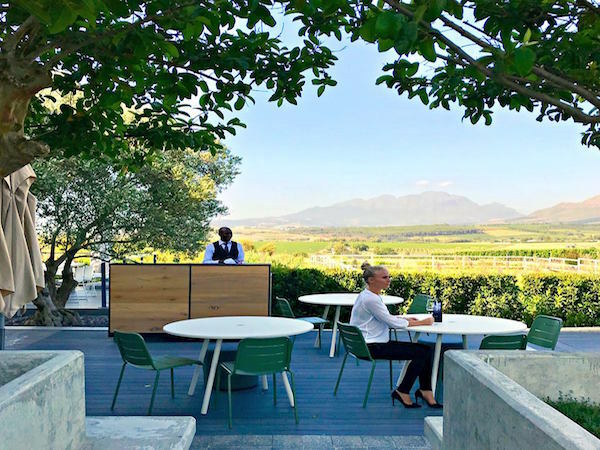 Monday to Friday lunch special: From 11.30 am to 4pm, pay just R50 for a selection of dishes including burgers, lasagne, cannelloni, and steak, egg and chips. Happy hour from 4.30 pm to 6.30 pm: All starters, beers, house wines for half price. Monday to Friday: 35% off all food from 11am to 6pm. 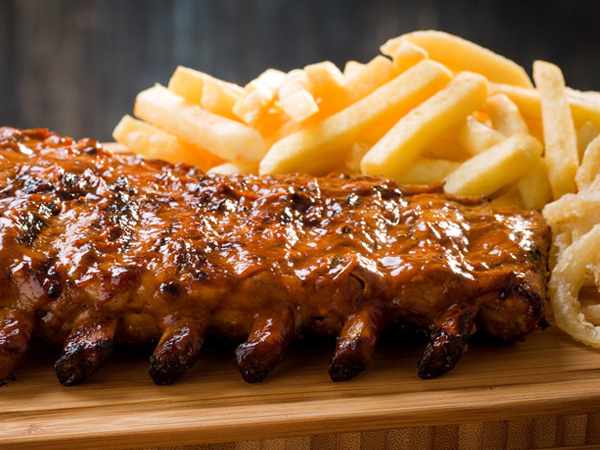 Monday: Bottomless ribs for R195. 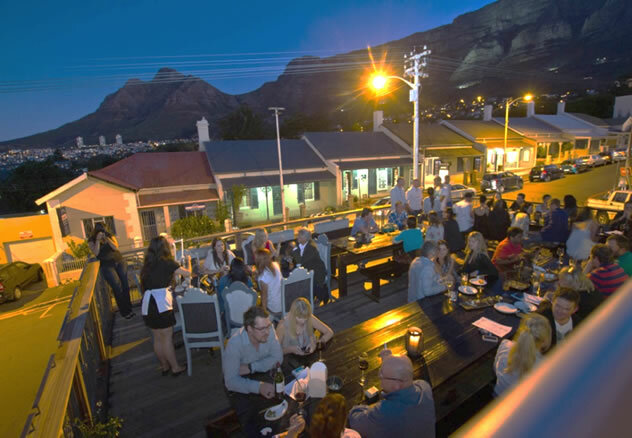 Friday: Bubbly and oysters for R395 before 7pm. The deck at the The Deckhouse Crab Shack and BBQ. Photo courtesy of the restaurant. 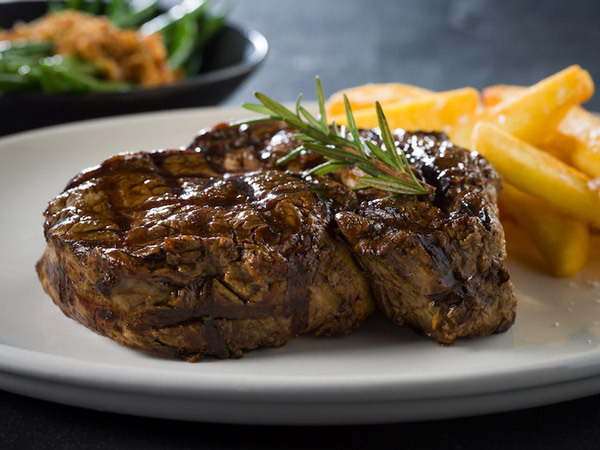 Monday: Get a 300g sirloin steak and chips for R99. Tuesday: Get any burger plus a milkshake for R99. Happy hour: From 5pm to 7pm, discounts on milkshakes and craft beers. Early Bird dinner special: form 5pm-7pm daily, get any two pastas or any two pizzas (or one pizza and one pasta), plus a bottle of wine for R250. 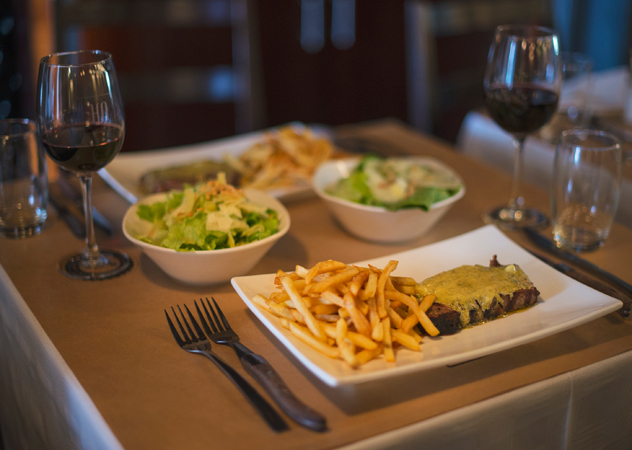 Mondays: Two-for-one steaks and live acoustic music. Tuesday: Date night. Get two starter salads, two steaks and two glasses of red wine for R250. Thursday: Half price on all tapas. On the third Thursday of the month, enjoy deep house beats by top DJs Chris de Vos and Brett Aitken while tucking into HQ’s standard half-price tapas special. 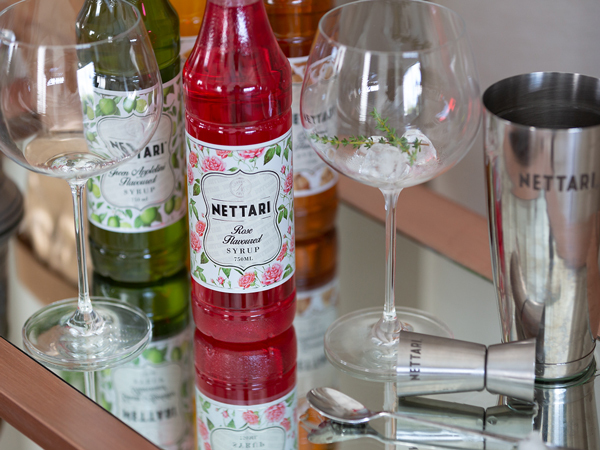 Ladies can enjoy bottomless Pierre Jourdan bubbly from 6 – 8 pm. Monday nights: Get any two veggie burgers for R130 and get 25% off all veggie starters. Tuesdays: get two burgers for the price of one all day and night on Tuesdays. 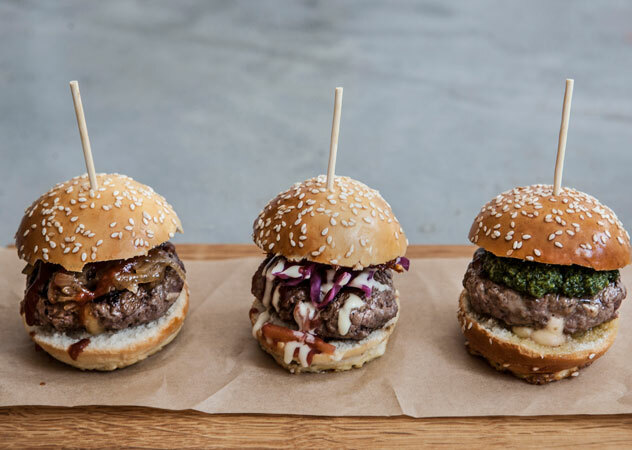 IYO mini burgers. Photo supplied. 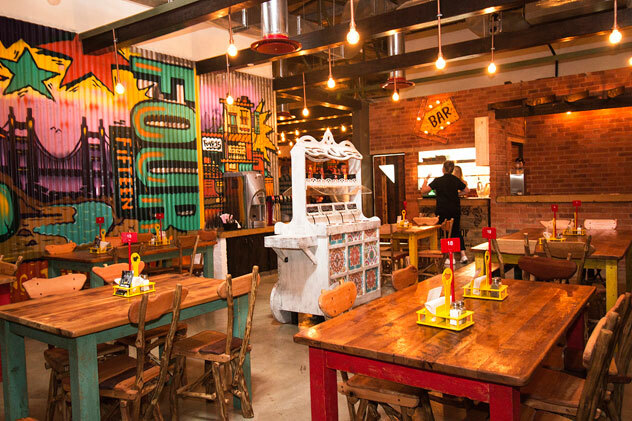 Tuesday from 4pm: Get two tacos for R80. Wednesday from 4pm: Get any burger for R55. Friday from 4pm: Get any two pizzas for R110. Tuesdays: Buy one, get one free on selected sushi dishes. Happy hour from 5pm to 6pm on craft beer. Breakfast special: Get 50% breakfast daily before 9am. Early bird dinner special: Between 5pm and 7pm. Mates & Dates Special: From 3pm-10pm, get two pulled pork burgers, topped with house coleslaw and a jug of Standard Premium Lager for R130; a Gourmet Braai Board to share (includes thin boerewors, chicken wings and lamb riblets served with butternut puree, confit butternut, charred baby marrow and butternut and cheese balls) plus coleslaw, chips and a bottle red house wine for R240; or chopped chicken salad served with avo, pickled red onion, croutons, cucumber, roasted cherry tomatoes and feta, plus a bottle white house wine for R120. Saturdays: Enjoy the patio braai from midday to 4pm for R95 per person. Idiot Happy hour from 5-6 pm: all booze half-price. 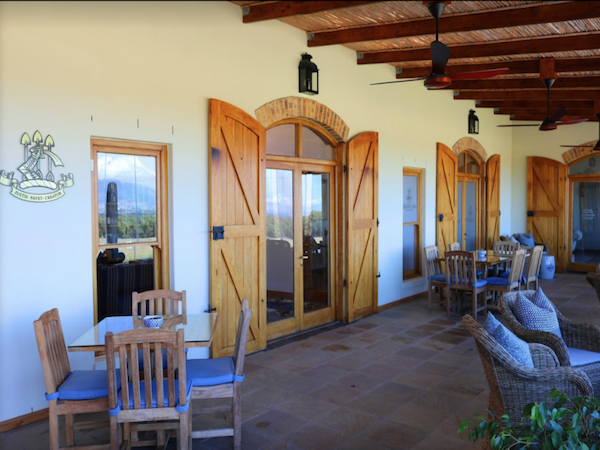 Enjoy the six-course tasting menu for R700 per person and receive complimentary Benguela Cove wines with each course. A complimentary chauffeur service is available for guests staying on the Arabella Estate. 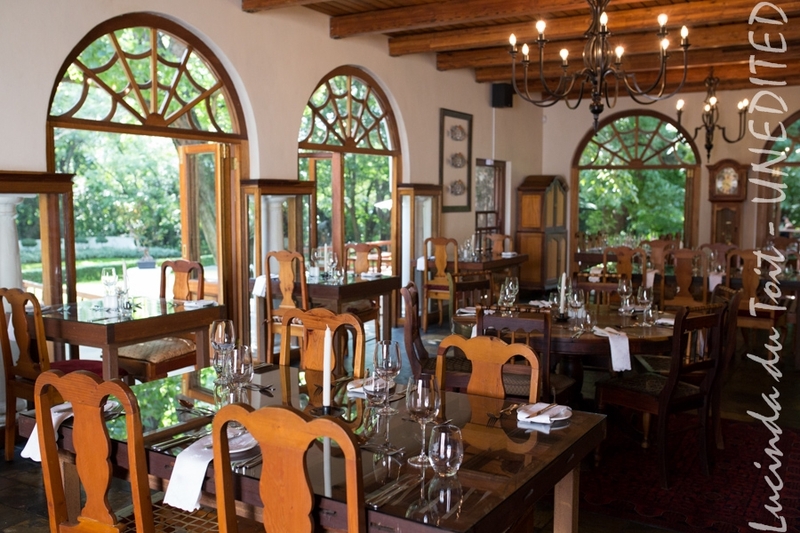 Get a three-course dinner for R380 per person. A complimentary chauffeur service is available for guests residing in the Sedgefield area. A dish at Benguela on Main. Photo supplied. 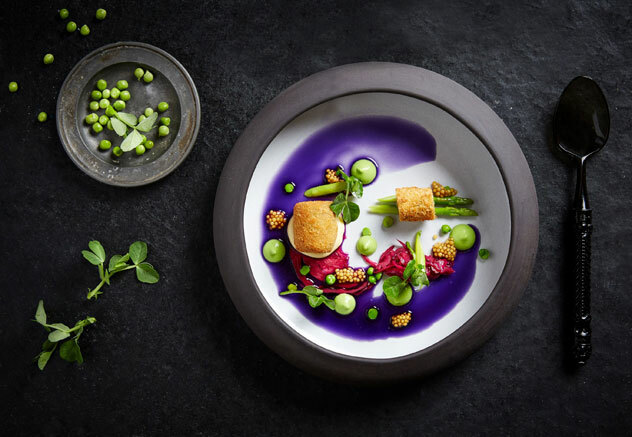 Get the chef’s seven-course tasting menu for R720 per person. A complimentary chauffeur service is available for guests in the Somerset West area. Cocktails at Hudson’s. Photo courtesy of the restaurant. 3pm to 6pm: Happy hour specials on a variety of drinks.